This is by far, the most time I've spent working on a single title. That's because it's like two books in one. However, I don't see React and React Native as two technologies to learn indepently of one another. It's best to learn them both at the same time. 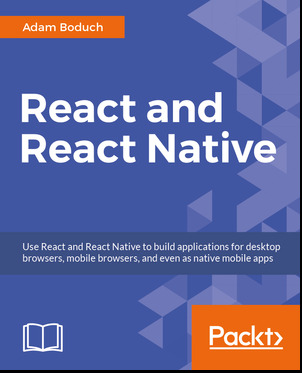 I've structured this book into three parts: React, React Native, and React Architecture. The overarching theme is that React is a thin rendering abstraction that sits on top of a target device. Keeping this in mind while learning React will ultimately lead to better code, in my opinion. I hope I've done this idea justice.